TPC members should have received the newest Card Talk this past week, a wee bit behind schedule but hopefully worth the wait. 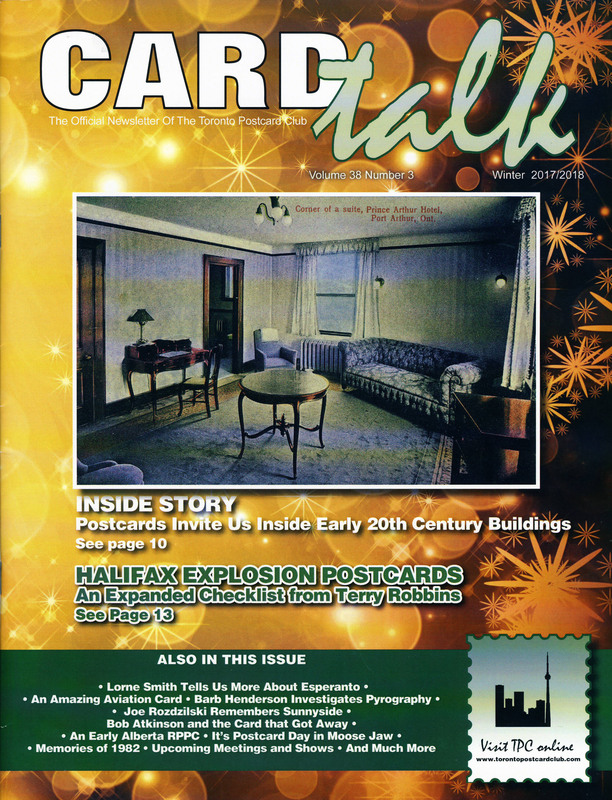 Articles this time around include John Sayers on the Halifax Explosion, particularly the cards published by Novelty Manufacturing & Art Co. of Montreal with images that were credited to Underwood & Underwood of New York, the famous stereo view publishers. 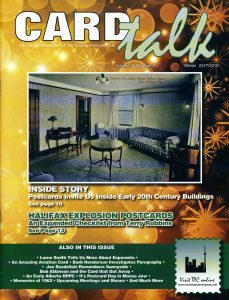 The article identifies seven Novelty Manufacturing & Art Co. cards between the numbers 523 and 536 that feature Halifax explosion images — 523, 525, 528 and 533-536. Presumably the others in that range, and likely many other Novelty Manufacturing cards, also have views of the disaster. One of the cards, no. 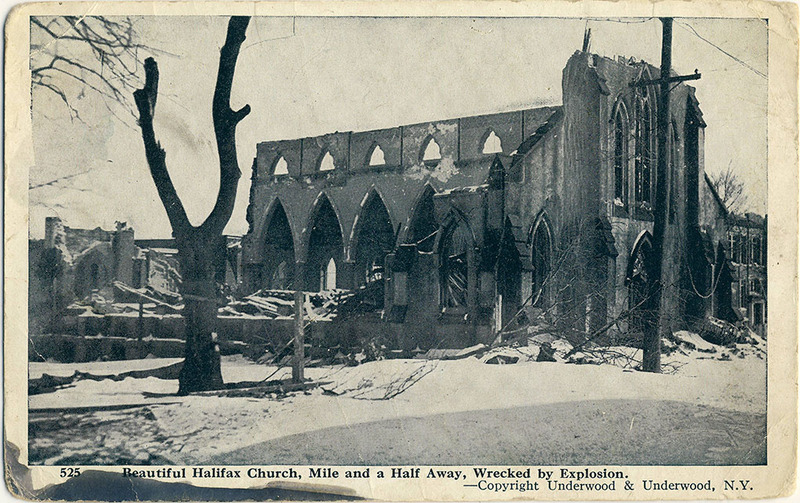 525, “Beautiful Halifax Church, Mile and a Half Away, Wrecked by Explosion”, is seen in Figure 1. 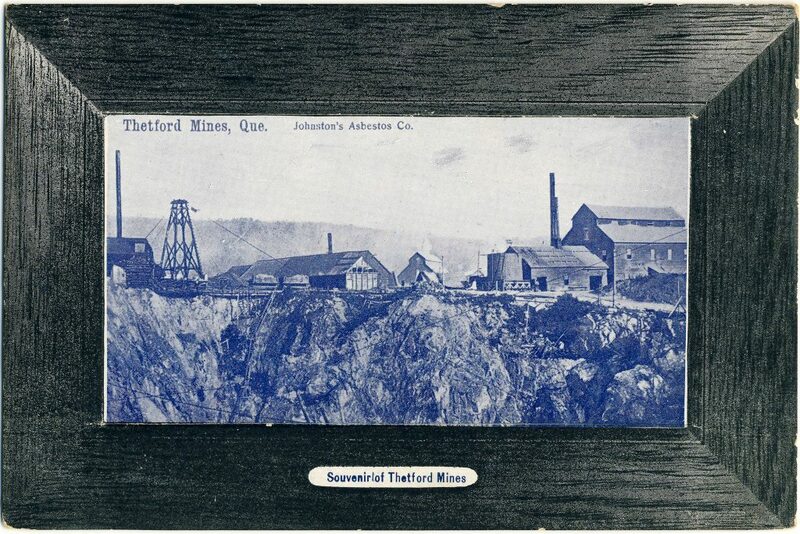 A second series of Halifax Explosion cards identified by John was published by Cox Bros. Co. of Halifax. This series, which appears to be somewhat less common than the Novelty Manufacturing cards, is represented by ten cards in John’s collection, mostly numbered between 629 and 704, although there is also a “999” in the set. These images are very interesting and include a close-up view of the Imo — the ship that started the catastrophe by colliding with the Mont Blanc –, an image entitled “Kaye Street Methodist Church” in which there is no church other than what looks like a small pile of lumber in the midst of some broken trees, and (most interestingly, perhaps) the Cox Bros. studio itself, which was very badly damaged (there’s actually a bit of a story there, as John points out, but it’s a bit too involved to get into in a short summary like this). 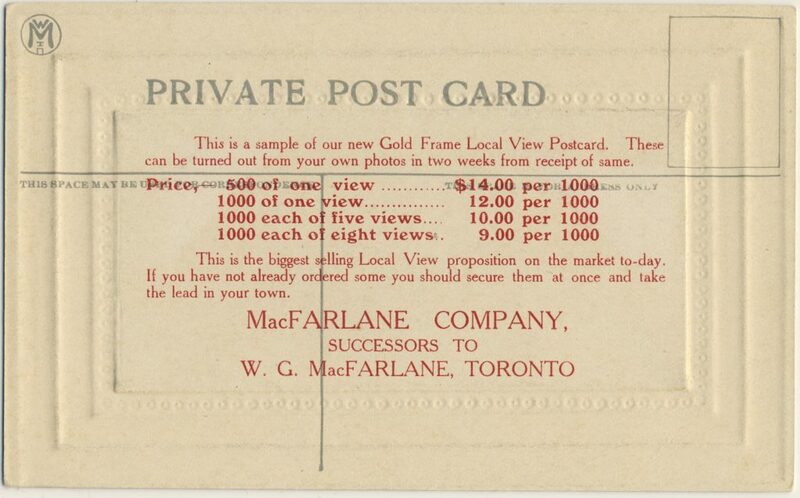 A second feature article in this issue is Canadian Banks on Postcards. 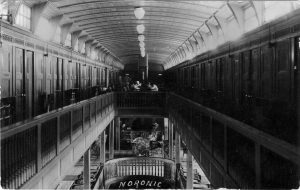 The author looks at banks in the early twentieth-century, from provisional structures built in brand-new Prairie towns to “skyscrapers” in Winnipeg and Toronto that, in their day, were the tallest commercial buildings in the country. The cover of this issue features a Canadian Bank of Commerce branch at Granum, Alberta (Figure 2) that may look familiar to western Canadians — not because they have all been to Granum, but rather because the Bank of Commerce used the same “kit” branch — manufactured by the B.C. Mills, Timber & Trading Co. — in small towns across the West. Figure 2. 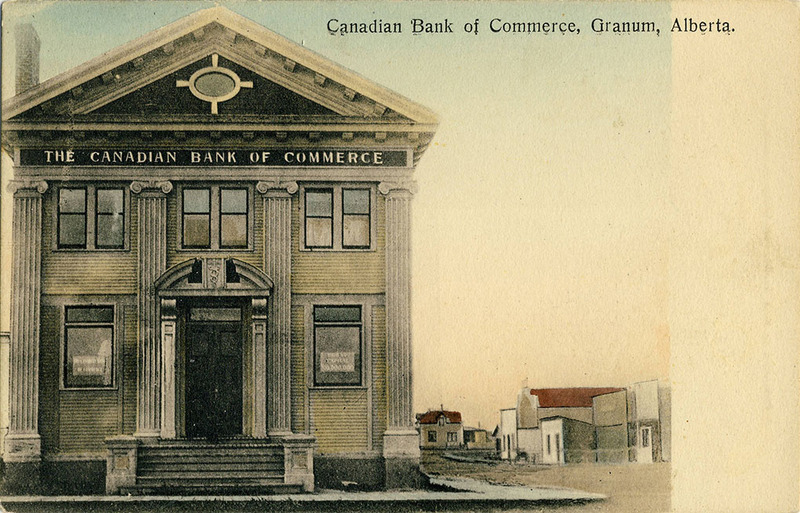 Canadian Bank of Commerce, Granum, Alberta. 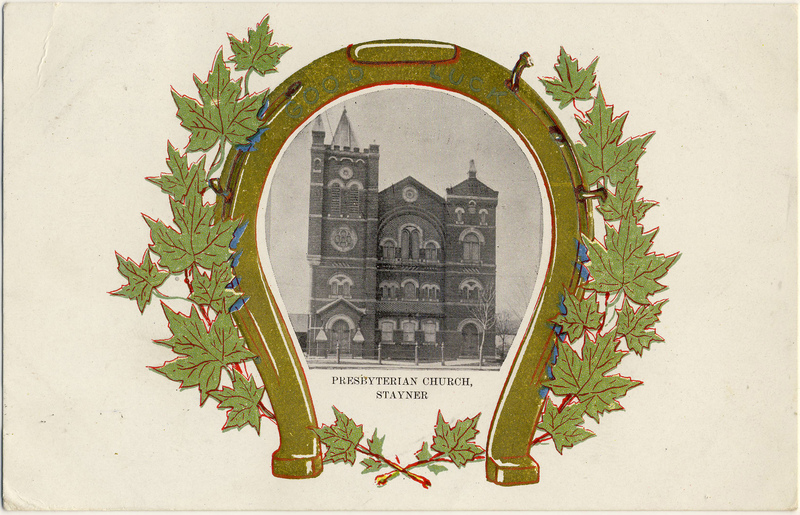 We also look at interesting postcard find by our member Harry Holman, whose “Straitpost“ website (incidentally) is full of interesting thoughts on Prince Edward Island postcards. 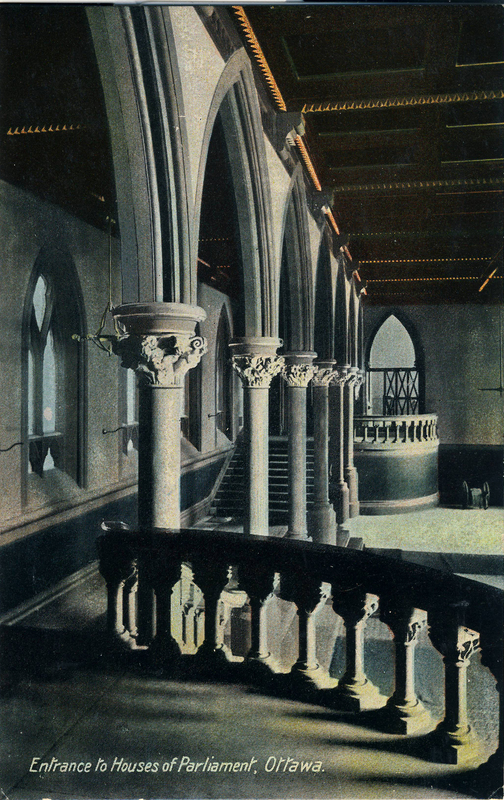 Harry recently discovered a Warwick Bros. & Rutter postcard of Prince of Wales College, Charlottetown, the reverse of which contained an interesting letter from English-born flier Harry Bingham Brown (1883-1954), one of the pioneer aviators in the United States. 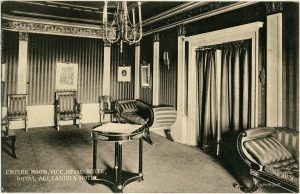 As was not uncommon in the years leading up to the Great War, Brown was doing the summer fair circuit and had arrived in Charlottetown in late September of 1913 to work the P.E.I. 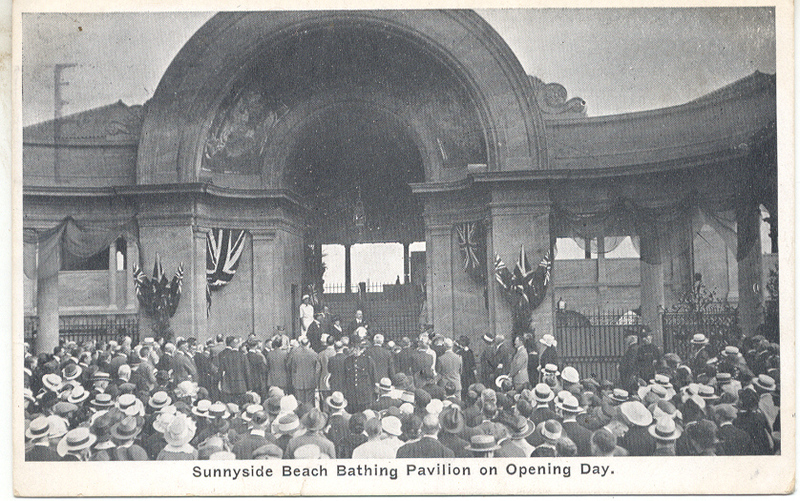 Provincial Exhibition. After a successful run at Halifax, the Charlottetown engagement was something of a disappointment (as Harry Holman notes) — Brown’s aircraft drifted away from the fairground on both of his flight attempts, disappearing quickly from the view of the eager crowds and not returning (not crashing either, but forced to land quite a distance away). Anyway, Brown wrote back to a friend in Massachusetts about how the trip was going — we won’t spill the beans on the contents of the note here, but the short message is an interesting artefact of the golden age of daredevil aviation and the sort of thing that, as a collector, is a great reward for the assiduous inspection of even the most nondescript postcards at sales and online. This edition of Card Talk contains a lot more, including more 40th Anniversary “TPC Memories” photos, letters and observations from readers, Barb Henderson’s account of our meetings in the fall and winter of 2016-17 and our usual calendar of future meetings and postcard events across Canada and the northern U.S. If you’re not one of the in crowd that can proudly display this marvel of deltiology on your very own coffee table, then we strongly suggest that you sign up today for a TPC membership (if you act soon, we won’t send you a ginsu knife, or even two ginsu knives, but you will be able to participate in the latest instalment of our fabulous members-only online auction, which raises funds for the Club and begins in June 2017). 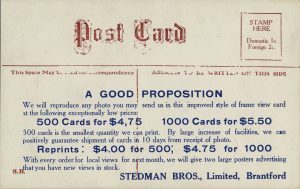 The First World War, the “war to end all wars”, got underway just as the shine was coming off the Golden Age of postcards. 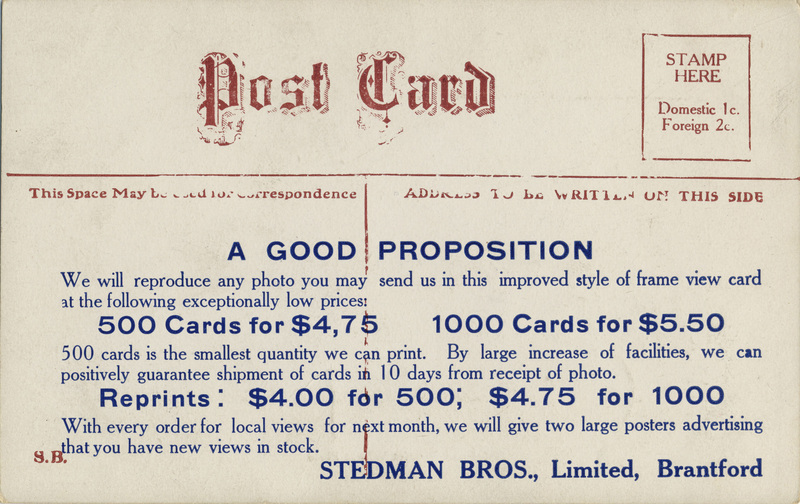 While wartime demand extended the postcard’s lease on life, it also changed the nature of the medium. 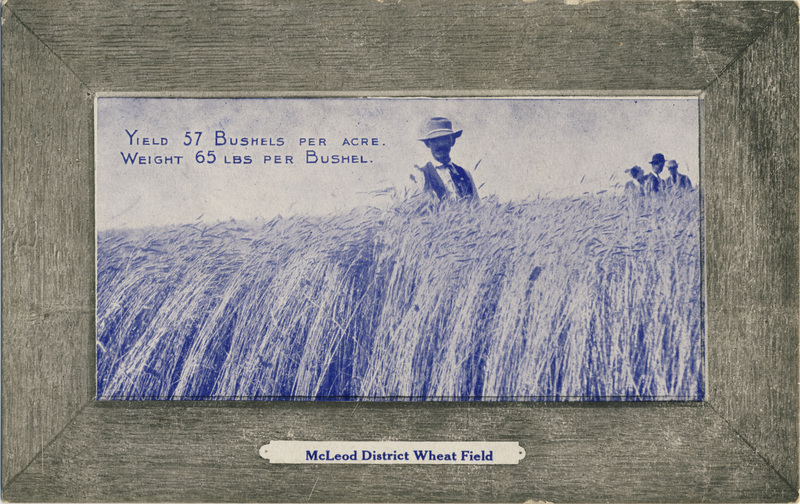 In Canada, at least, postcards after 1913 were less apt than previously to show off the growth of the country’s towns, infrastructure and agriculture. Instead, and not unexpectedly, they dwelt more frequently on the war and its associated sentiments. Those sentiments encompassed both the public emotions of patriotism and more private feelings of estrangement and sadness — in addition to simple curiosity about what the soldier’s lives looked like. 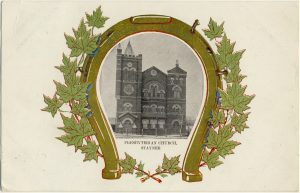 Because Great War postcards were so popular, postcard collections are often significant repositories of images of the War, including many that are unusual or unique, as well as of accounts (brief ones, of course) of the experiences of soldiers, recruits, families and friends during and after the long conflict. 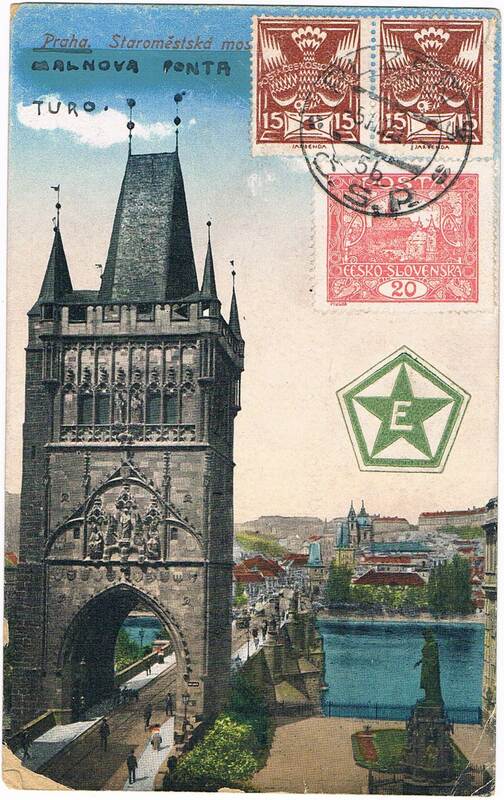 We were recently contacted by a representative of the Imperial War Museum, the London-based institution, which is currently attempting to record accounts of the conflict that are found on postcards. TPC members and friends who wish to contribute should see their website for details. Field Ambulance Depot Lines, Sewell Camp, 1915. — Advance Photo Co. There are countless Canadian postcards depicting life at the camps at which Canadian soldiers received their pre-departure training. 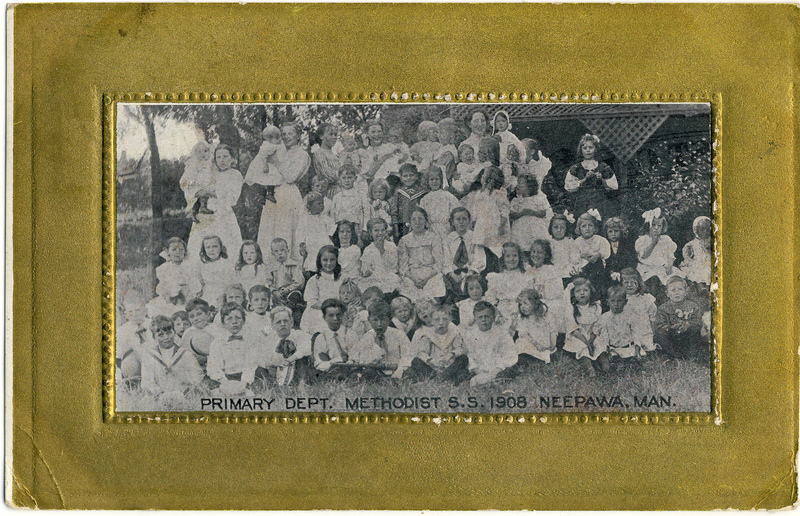 Among the largest of these was Camp Sewell — renamed Camp Hughes in 1915. A century later, remnants of its trenches and fixtures are discernible in farmers’ fields along the Trans-Canada Highway east of Brandon, Manitoba. 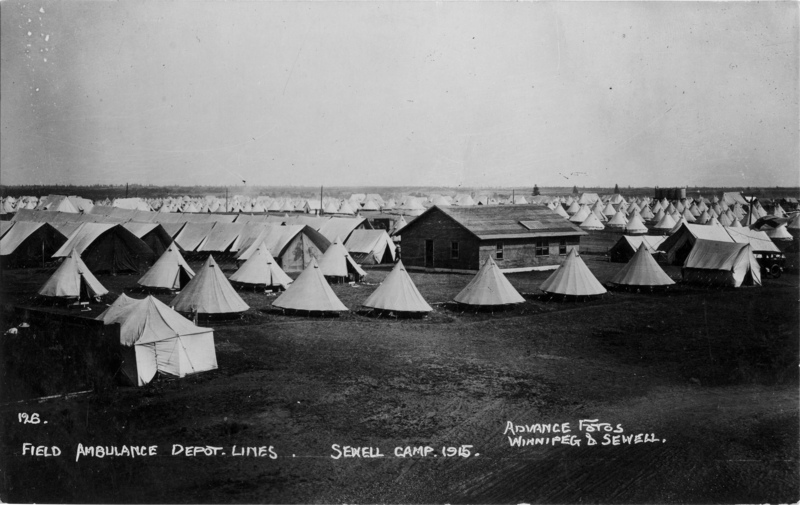 As thousands of recruits passed through Camp Sewell/Camp Hughes, the Advance Photo Co. of Winnipeg was on hand to produce and sell real photo postcards depicting camp life. 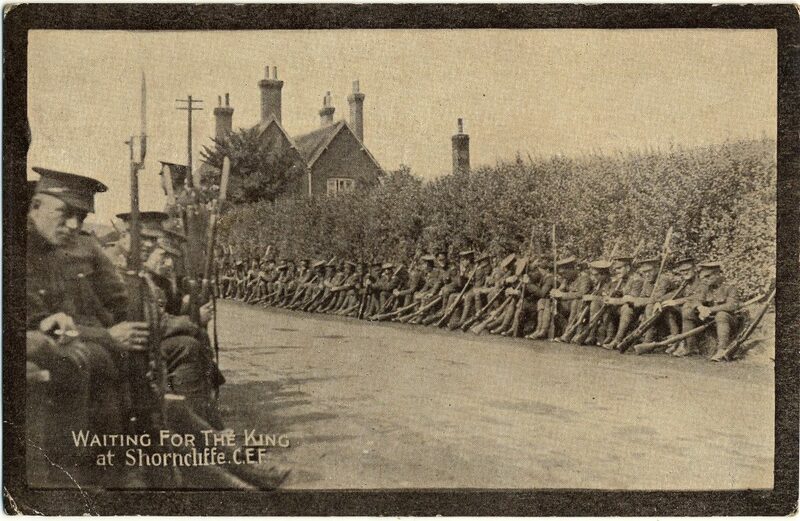 The number of real photo postcards produced of the camp by Advance (and a handful of other photographers) is unknown, but it is likely in the many hundreds. Despite its momentary prominence in the field of Canadian military photography, almost nothing is known about the Advance Photo Co. 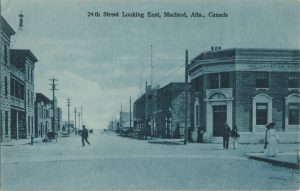 It had a brief existence around 1915 and 1916 and produced dozens of real photo postcards of a major flood in Winnipeg in the spring of 1916, but otherwise (it seems) almost nothing else. 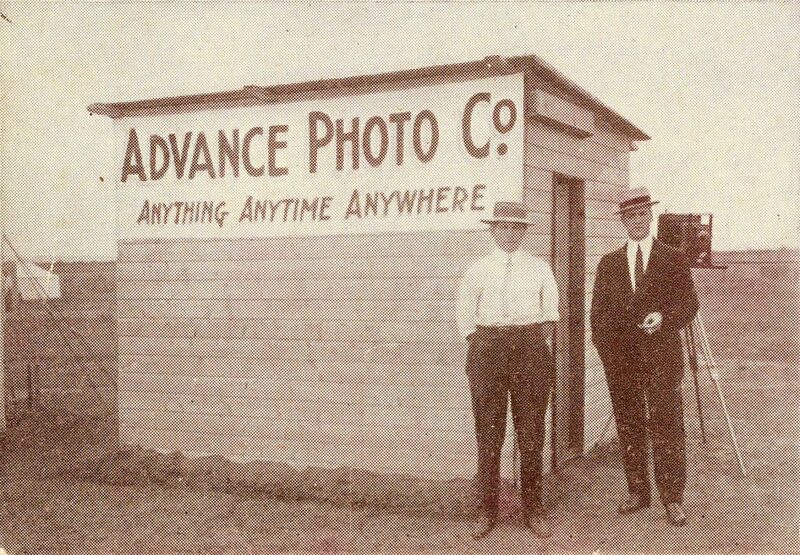 The company’s unidentified principals are quite possibly the gentlemen in the image below, which (more generally) illustrates how postcard photographers would have operated in such a setting. 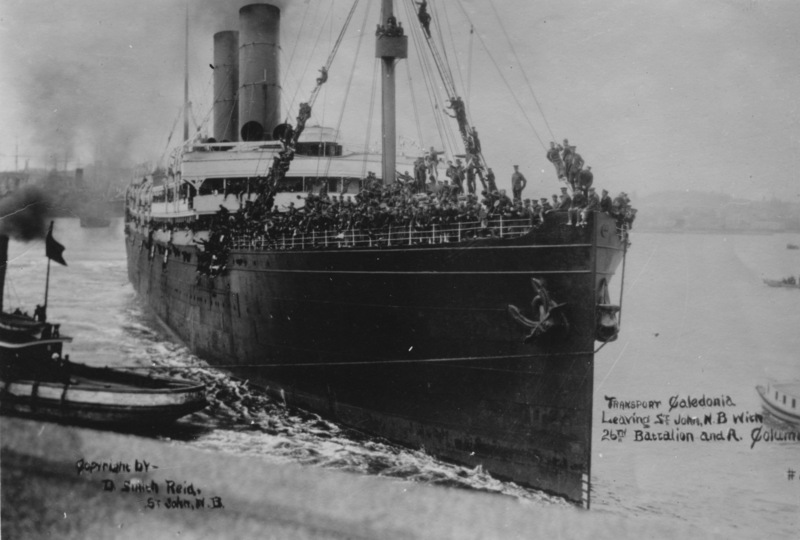 Scenes of departure are another frequently encountered World War I genre. 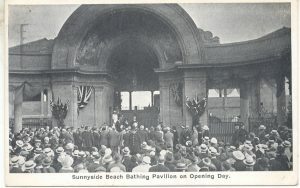 Such postcards are usually real photos, which could be produced virtually on the spot for sale to participants in the event. But they were sometimes considered of sufficiently enduring interest to warrant production as lithographed cards. 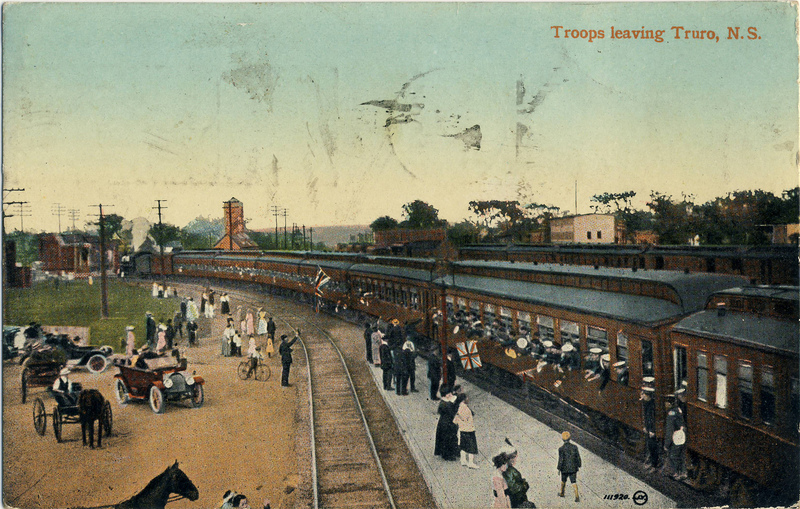 The following example — depicting the soldiers’ send-off at the Intercolonial Railway station in Truro, Nova Scotia — is by Valentine & Sons, the most prolific producers of picture postcards in Canada (and likely worldwide as well). Valentine & Sons card no. 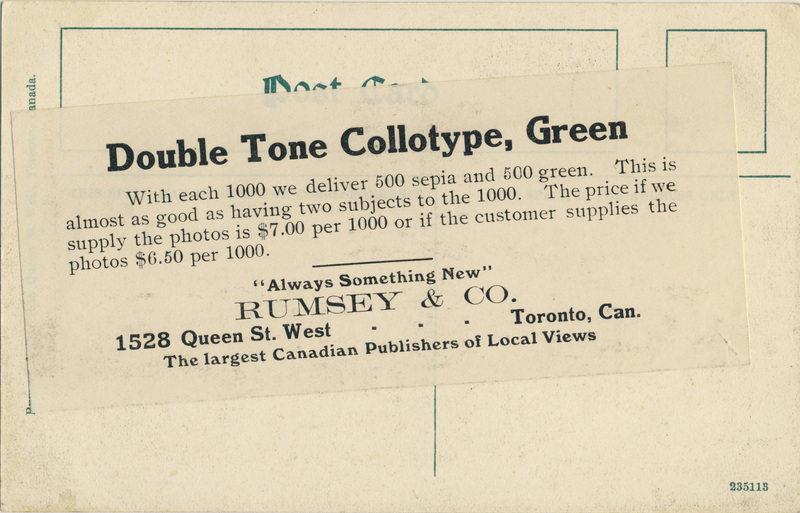 111,920 adds colour to a scene that we normally see only in monochromatic real photo cards. 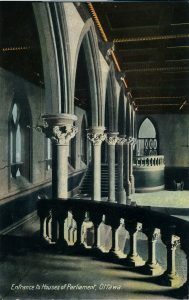 Postcards showing such scenes only occasionally include related messages. This, fortunately, is one of the minority that does. 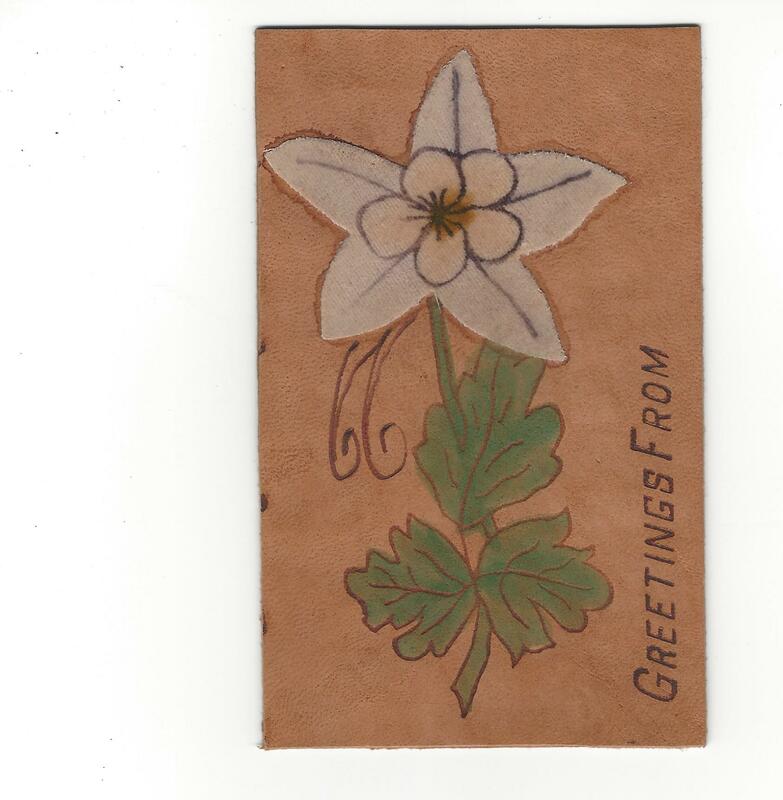 The card turns out to have been used by a departing soldier to thank a woman who had prepared a gift packet for him. As part of the war effort, ordinary people were asked to send “care packages” to soldiers, who would then be given their names and would write them to express their appreciation. The package in this case was received by Pte. R. Grant, “C” Company of the 40th Battalion, Valcartier, Quebec, who wrote his benefactor, Mrs. Appleton P. Anderson of Sydney, C.B., as follows: “Mrs. A. P. Anderson:- I, Pte. R. Grant was the recipient of your gift on Friday night to the 40th Battalion. 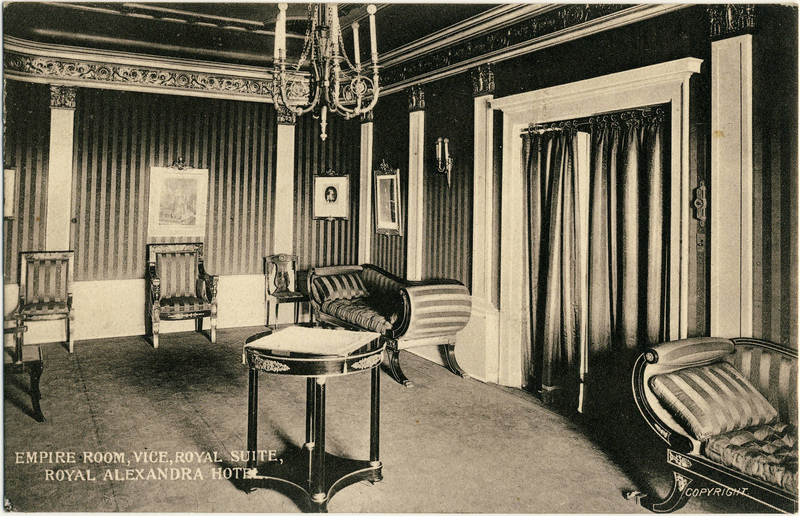 The boys were pleased to see the interest the women of Sydney have taken in providing for their comfort. Yours truly, Pte. R. Grant.” The rather stilted first sentence was likely dictated but the second might represent more of a personal effort. Transport Caledonia, leaving Saint John with the 26th Battalion and “A” Column (undated) — photo by D. Smith Reid of Saint John. This was published by Upton Publishers of Folkestone, the town adjacent to Shorncliffe camp. “Dad” was correct about the historic nature of the location, as this recent BBC story about Shorncliffe’s uncertain future makes clear. These postcards, known as “silks”, were manufactured by the millions in France and Belgium for sale to soldiers. This is only a sampling of the types of Great War postcards that can be collected — there are also countless examples associated with individual regiments, real photos of soldiers, images of postwar destruction, anti-Kaiser (and pro-German) propaganda cards and many other types. The final cards, chronologically at least, are those depicting the troops’ return home and the memorials that were erected to the dead. 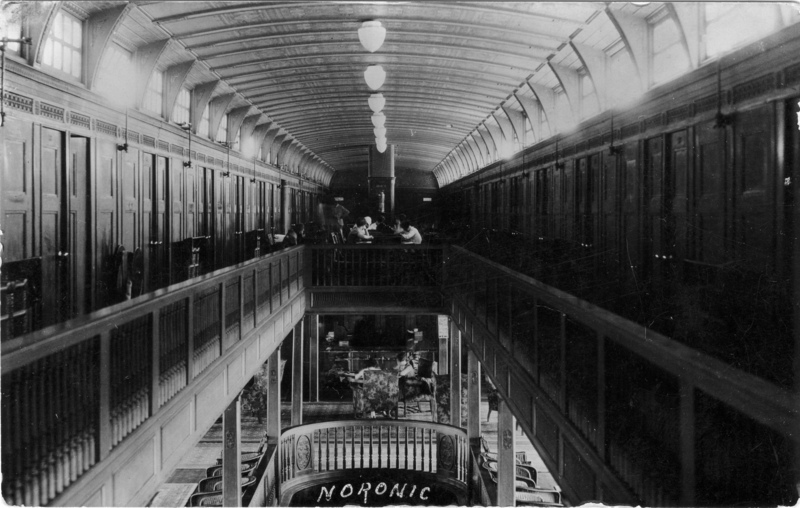 The example below, showing the interior of Montreal’s Windsor Station, nicely combines those two elements. We see a soldier in military dress, nearly alone in the cavernous hall, overwhelmed in the image by the names of the battles in which the C.E.F. fought. Those names were already etched in the country’s consciousness when the postcard was mailed on 24 July 1919 — even though many of those who had fought in the battles were only just then making their way home. Ypres. Festubert. The Somme. Vimy. Hill 70. Passchendaele. Amiens. Cambrai. Drocourt-Quéant. Mons. As the Great War is now passing out of the realm of direct human memory, postcards offer us a tangible connection to the people, events and ideas that defined it. 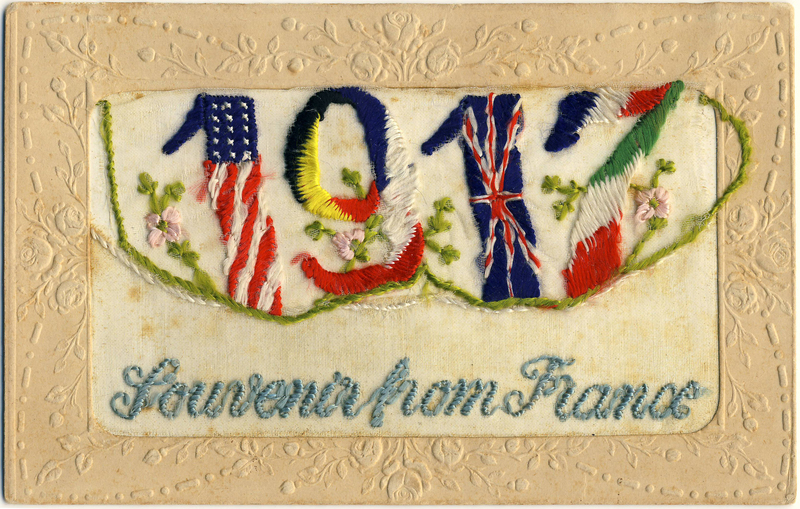 Among the most beautiful collectible postcards are embroidered “silk” cards, the vast majority of which were made in France and Belgium during the First World War and sold mainly to British Empire and U.S. troops. The cards featured colourful imagery, such as the butterfly in the example below. 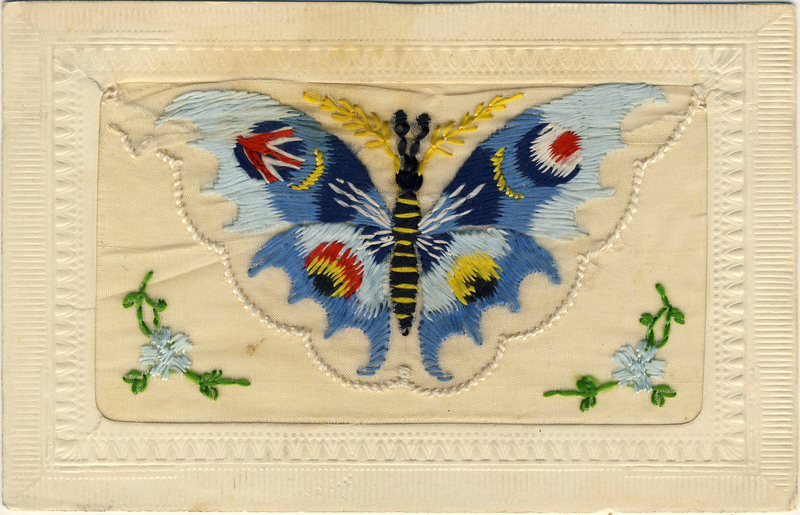 Most of the designs — although by no means all of them — incorporated militaristic or patriotic elements, such as the four national symbols embroidered into the butterfly’s wings in our example. Because so many “silks” were produced, and because they were usually retained as keepsakes, they are more common than one might expect (and not always quite as valuable as those who find one or two in “Grandma’s album” tend to hope). 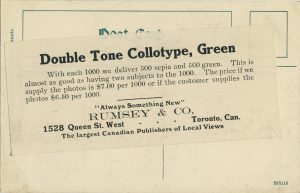 As the website of the Imperial War Museum in London notes, the most sought-after cards tend to be rarities with imagery specific to particular regiments (including many Canadian examples, as TPC member Mike Smith recently discussed in the Wayback Times). Also worth checking out is this site featuring choice examples from the collection of a British deltiologist. 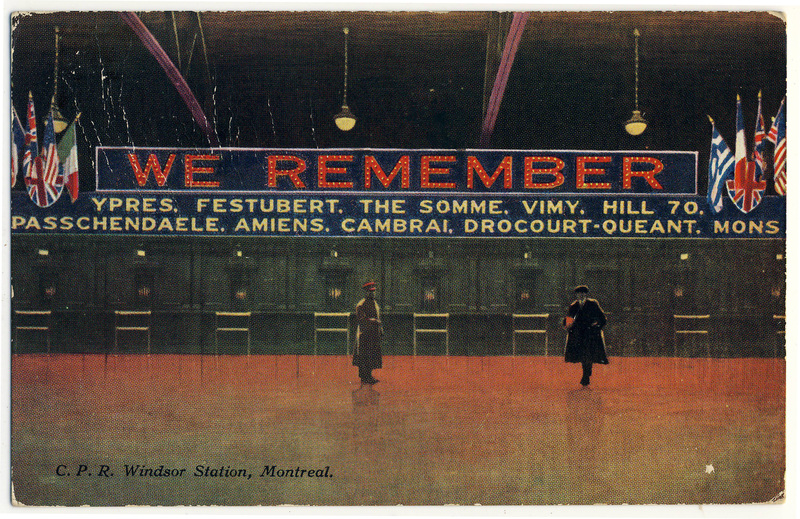 World War I silk postcards, including those with Canadian themes, are a terrific collecting area that, with a little time and effort, could produce a beautiful and historically informative collection at a relatively modest cost. Butterflies were one common motif on World War I silk postcards, typically with flag elements worked into the stitching of the wings. Error: Error validating access token: Session has expired on Friday, 12-Apr-19 20:21:58 PDT. The current time is Friday, 19-Apr-19 22:01:42 PDT.